One of the popular Encrypted Pin Pad (EPP), with 16 keys layout, this metal EPP support DES/TriDes with hardware encryption. This EPP is designed according to PCI standard, with full tamper mechanisms to protect the sensitive information. This EPP supports DES/Tri-Des, even can support RSA algorithm on request. With lazer engrave letters on the button, all languages is supported. Now this is one of popular solution for cashless payment kiosk, payment kiosk and ticket vending machines. The most popular 16-key metal keypad, compact design with comfortable layout. 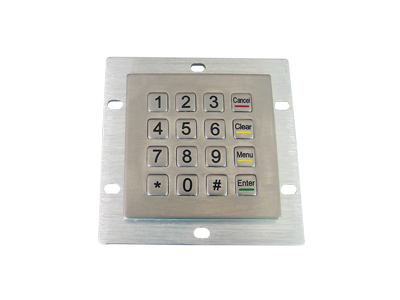 This metal keypad has better water proof performance, with IP65, this keypad can be used for outdoor application. The default interface of this metal keypad is USB, while, PS2 and RS232 is available on request. The letters on each button can be customized in any language. 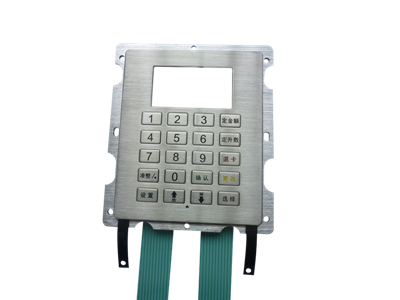 Now this metal keypad is well used in bike vending station, bus control, industrial control etc. 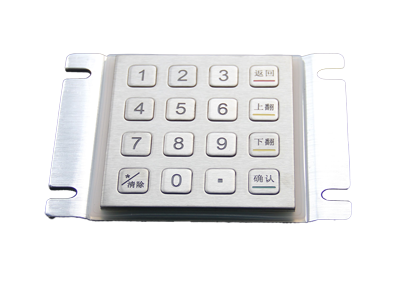 The most compact 16-key metal keypad,has both non encryption and encrytion model. This 16-key metal keypad has operation time of more than 2,000,000 times. 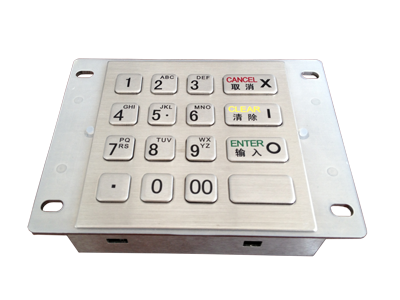 The letters on each button can be customized in any language, Now this metal keypad is well used in casino, handhold terminals, bike vending station, bus control, industrial control etc. Specially designed for pumb machine in gas station, has good performance of EMC and well ground connection. This keypad adopts the membraine switch with life span of 2000000 times for each button. The default interface is flexible cable with 20Pins. Now this metal keypad is well used in gas station, etc.